It’s been several months now since LinkedIn launched their University pages. At first, I was pretty excited. LinkedIn is a huge, successful social network and the ability for colleges and universities to reach out to alums, students and more was an interesting proposition. Now, several months down the road, our LinkedIn University page is not at all a part of any of our social media plans, and we post there only occasionally, mostly as an afterthought. Why? No engagement. Our most liked post there has 6 likes. Since anyone can post on the page, it’s been overrun by people posting about jobs, other LinkedIn groups and all sorts of annoying things. What’s also strange is that even LinkedIn doesn’t seem to have things figured out. We have a University page, but on that page is a link to our “company page.” So we have a group, a company page and a University page. Why can’t I link those all together to have one page to rule them all? The biggest frustration to me, though, and I’m speaking as a content person, not as the official voice of my University, is that the damn thing just doesn’t work. Every time I go to add content from any page in our WordPress-powered CMS, LinkedIn’s page scraper fails to get any content from my site. Without fail. I don’t understand it. Here’s a news story on my site. It has all sorts of meta data, OpenGraph data, images and much more. Here’s an example of some meta data in there, generated by Yoast WordPress SEO plugin as well as code we wrote. How is that useful at all? 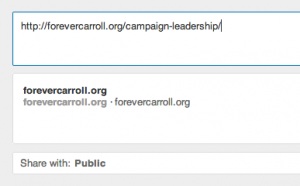 Even though the title of the page is in their several times, including the title tag in the HTML, LinkedIn can’t find it. They also can’t find a description, which again is there, twice. And it did not find any images, even though we specify several (og:image). There is no ability to upload an image independently. Perfect. It got everything it needed, let me choose which of the two og:images I specific and if I don’t like it, I can upload my own. Super helpful, and I rarely have to make any edits. 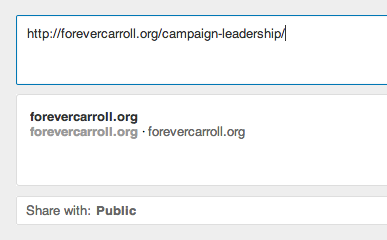 Let’s see if Google+ can do it. Now, that’s embarrassing. 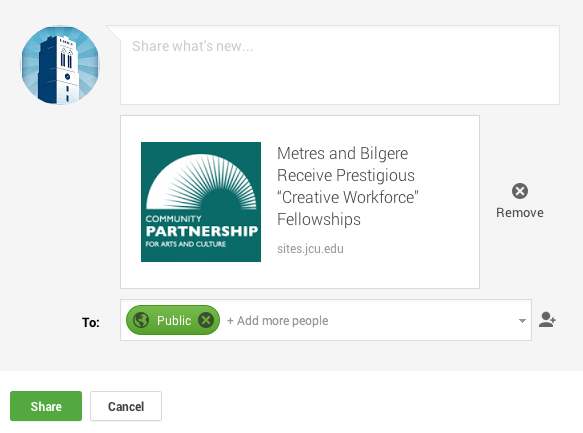 Google+ can do it, and LinkedIn can’t. I’ve tweeted to LinkedIn, submitted tickets, even made a video showing them what I’m seeing. I’m not sure if something is wrong on my end, on my WordPress pages, or if its something on their end. 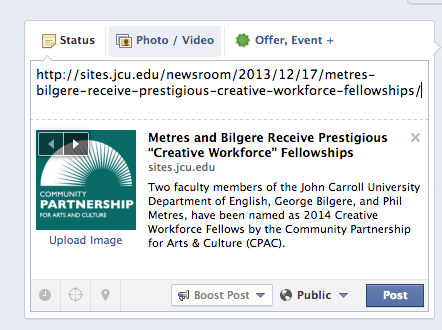 This is happening on several JCU sites, on separate servers, using separate WordPress themes and plugins. Regardless of where the problem is, the larger problem is usage. We are seeing little to no engagement coming from that platform, and part of that may be due to the confusion of users when it comes to University pages, company pages, groups and so on. LinkedIn is great at making people to people connections, but I feel they need to really figure out what they’re doing when it comes to higher ed. They need to streamline pages for colleges and universities and combine the pages they want us to manage and promote with their “company” pages for a cohesive experience for not only our users, but for us as page administrators. There’s a ton of potential there, and I know that LinkedIn is full of really, really smart people. I have faith they’ll be able to get it figured out and make a dent in this market. Next Next post: Can institutional tweets turn the tide of student opinion?